You are currently browsing articles tagged Elisabeth Bumiller. Chivalry, contrary to what many might think, is not dead. 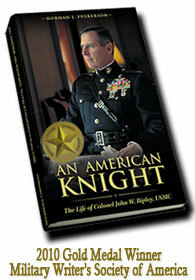 Thank God for a man like Col. John Ripley who lived by principle and did not stop being an officer and a gentleman when so many others around him did.